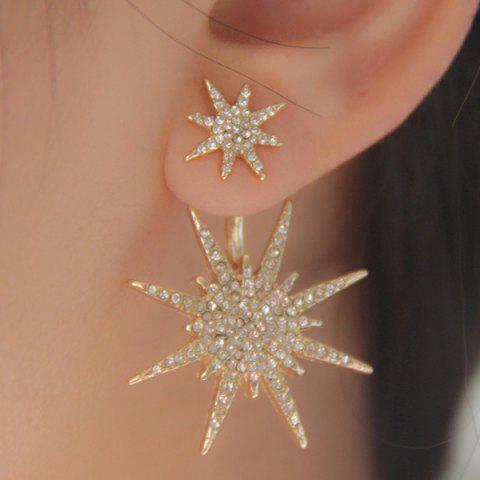 Gorgeous earrings give any outfit that extra spark! Love my earring! Be sure to order 2 of them. I only ordered one, waiting for the second one. You can pay in USD or other currency. Please kindly select your currency in the top right-hand side of our websiteThank you for your inquiry. Q:So you ship to Zambia? Is this product made of genuine gold and what are the other material a? Yes,we can ship it to Zambia. Q:I would like to lankbknow how should i buy the product and what does the target price mean in the blank there is a space for traget price . The target price is for whole sale. You can name the price you need when you order it in whole sale. Q:Is this meant to be wore solo or should I order two for a pair??? Yes, it is meant to be worn solo.